Calvin and Hobbes is unquestionably one of the most popular comic strips of all time. The imaginative world of a boy and his real-only-to-him tiger was first syndicated in 1985 and appeared in more than 2,400 newspapers when Bill Watterson retired on January 1, 1996. 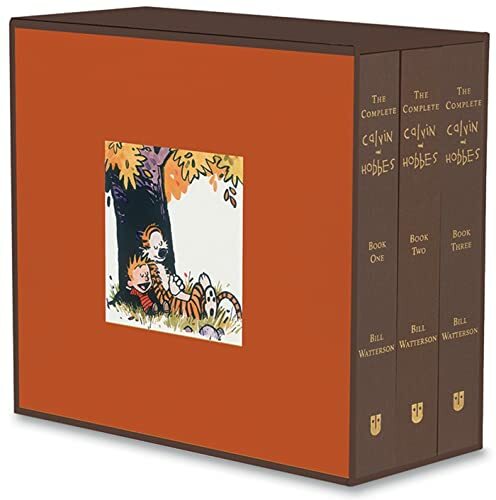 Composed of three hardcover, four-color volumes in a sturdy slipcase, this edition includes all Calvin and Hobbes cartoons that ever appeared in syndication. This is the treasure that all Calvin and Hobbes fans seek.